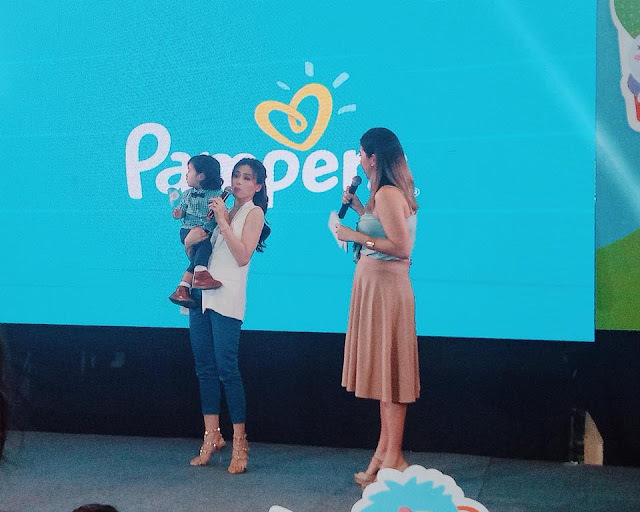 MANILA, Philippines (March 16, 2018)–At the launch of the New and Improved Pampers Baby Dry at WhiteSpace in Makati, Toni and Seve unveiled the new Pampers Go Galaw song, which highlights how babies can go galaw in a less lawlaw diaper thanks to the new Pampers Baby Dry. 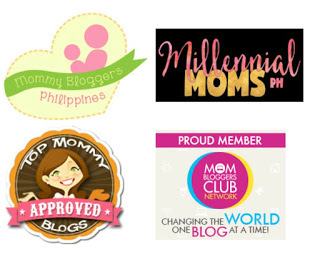 The song brings attention to a crucial issue most moms may not know of – saggy or lawlaw diapers. There’s more to lawlaw diapers than just being unsightly to look at. According to Go Naked: Diapers Affect Infant Walking, a 2012 study from the US National Institute of Health, saggy or lawlaw diapers may also hinder your child’s ability to walk properly. Despite this pressing concern, according to a nationwide survey done by Pampers, only 8% of moms think that lawlaw diapers can affect how babies move. A lawlaw diaper also means wetness and leaks, as well as the need for more frequent diaper changes. In the event, Toni shows that moms can now deal easily with lawlaw diapers thanks to the new Pampers Baby Dry. Lawlaw happens because pee is accumulated in a single spot in the diaper. The magic gel technology in Pampers Baby Dry allows it to absorb wetness evenly and distribute it throughout the whole diaper. This puts an end to lawlaw, allowing babies to move with more freedom! Dancing the song with a hundred moms and babies during the event, Toni and Baby Seve show how comfortable it is for baby to move without a lawlaw diaper getting in the way. “Seve loves to dance and play especially with me and his dad! 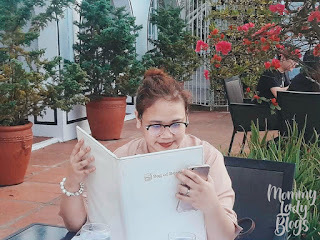 Now that he’s about a year old, he has started exploring, leaning to walk—and dance even more steadily,” Toni Gonzaga shares. 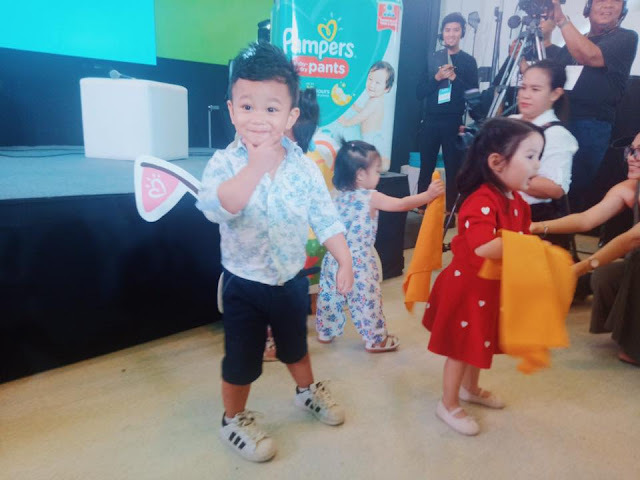 With his motor skills steadily advancing, Baby Seve is enjoying his newfound freedom even more, walking by himself to pick up his toys, running after his mom, or dancing to his favorite Pampers song. “Babies wear diapers all day and all night, which is why it’s important to find one that works well. 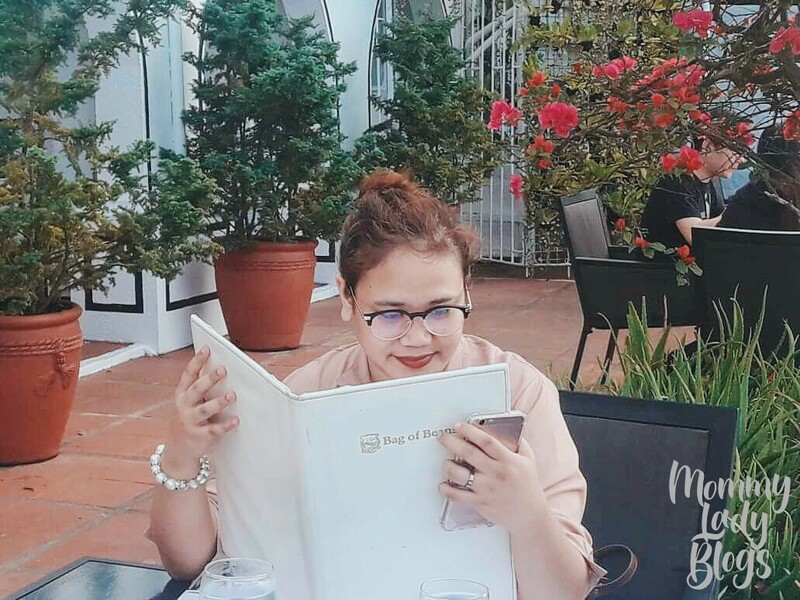 I don’t want Seve to be uncomfortable doing the things he wants to do, especially in this crucial stage, because of a lawlaw diaper. 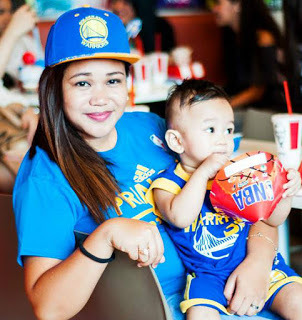 It’s a good thing we choose Pampers Baby Dry, now with the amazing magic gel channels to make sure that Seve can Go galaw in a less lawlaw diaper, stay comfortable and happy at all times,” she said. 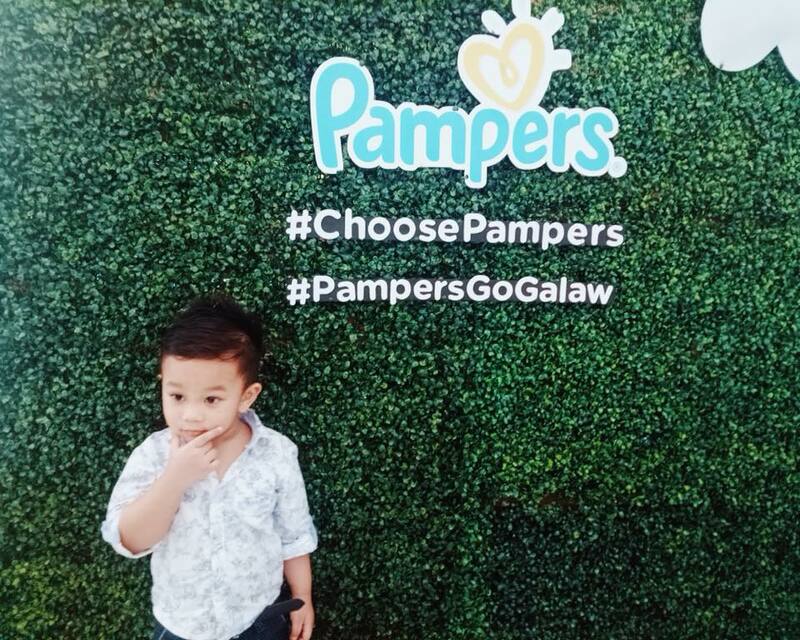 Share the Pampers Go Galaw dance with your friends to remind them of the importance of keeping lawlaw diapers at bay! Join the Pampers Go Galaw Challenge and post a video of your baby dancing to the Pampers Go Galaw song to win as much as Php 100,000 in cash. 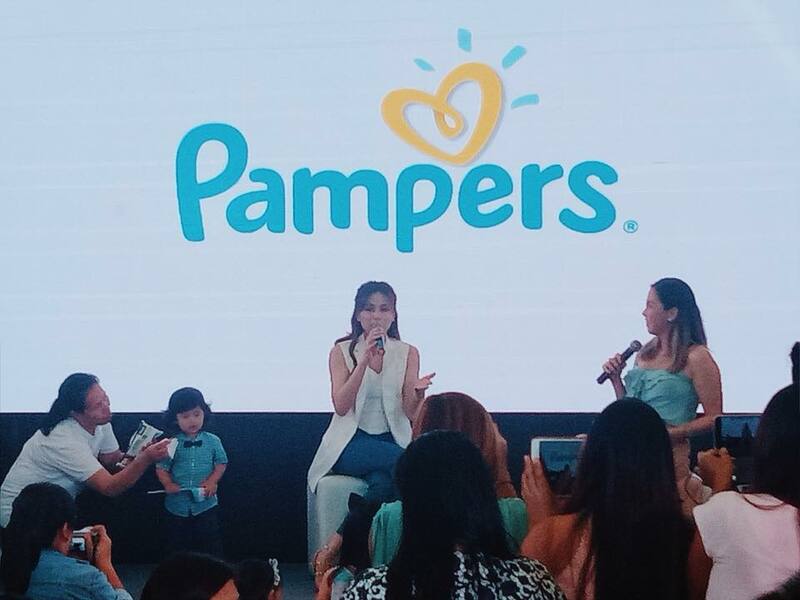 Visit the Pampers Facebook Page for more details.